When it comes to investing, I try to stay in one lane and focus exclusively on buy and hold single family homes. But the beauty of real estate investing is that there are multiple niches; there’s something for everyone! On today’s episode of Investing in Real Estate, I’m sitting down with mobile home park investor, Kevin Bupp! Kevin is a serial entrepreneur, and a successful investor who has done 40 million dollars in real estate transactions. On today’s show, he’s sharing the details of his investing career, including how he lost everything and bounced back. He's giving the lowdown on how to invest in mobile home parks, and how to avoid shiny object syndrome. Kevin is an incredible wealth of information; you won’t want to miss episode 296. Kevin Bupp has been in the real estate game since he was just 20 years old. He didn’t particularly enjoy or excel in school, and lacked direction regarding what to do with his career. But everything changed one day when he was visiting his college girlfriend’s house on a weekday. His girlfriend’s mom had a boyfriend named Dave who stopped by in the middle of working hours, and Kevin learned that Dave didn’t have a 9-5 job; he was a full-time real estate investor. Dave had an extra ticket to a three-day real estate boot camp, and invited Kevin to attend. Kevin describes this event as life changing. Here, he learned about fixing and flipping, made connections with people in the industry, and changed his mindset. He realized that the people who were successful in real estate were just ordinary people. He became motivated to make real estate his career. After that boot camp, Kevin asked Dave if he could help him in his business in order to gain experience and knowledge. For over a year, Dave took Kevin under his wing. Kevin worked in the office, visited properties, and met with contractors. He learned the ins and outs of the business, which allowed him to eventually purchase his first property at the age of 20. Kevin’s real estate career has taken him through some twists and turns. In the 2008 crash, he lost everything and destroyed his credit. But in the last six years, he rebuilt his business from the ground up, focusing exclusively on mobile home parks. On today’s show, he’s walking us through his entire journey, and sharing some of his best investing advice! How has Kevin's "why" shifted throughout his career? What is the mental exercise Kevin regularly practices? 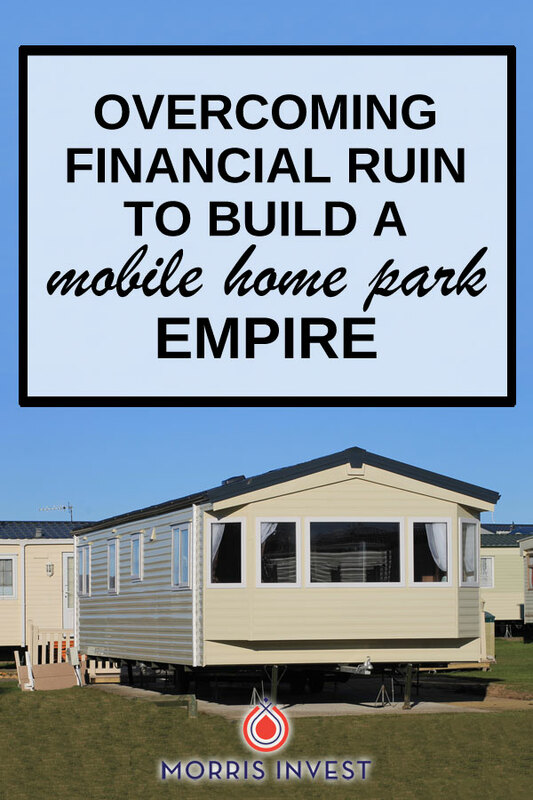 How did Kevin begin investing in mobile home parks? How does investing in mobile home parks work?